Summertime Specials at Islands Burgers! There’s something special about a restaurant that specializes in burgers. And not just slap some meat on a bun and that’s it, I’m talking about yummy, delicious, melt in your mouth burgers. 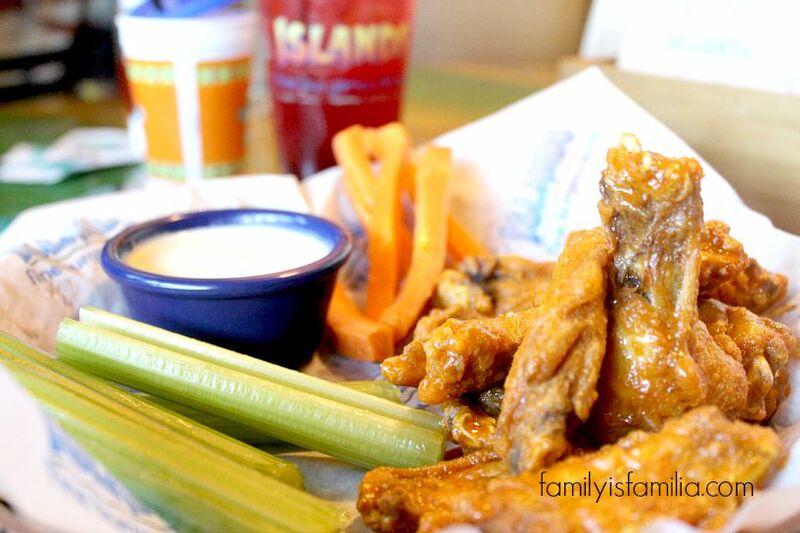 We have been a fan of Islands for a very long time. As a matter of fact, my husband and I went on a date at an Islands Burgers when we were dating. I, personally, have a favorite burger. I tend to get the same thing every time we go. The Hawaiian burger. Oh, man. My mouth just watered! Doesn’t that just roll off your tongue and into one of the Hawaiian islands. Yes, it is that good. Well, it’s summertime and Islands has introduced a new burger, but for only a limited time. 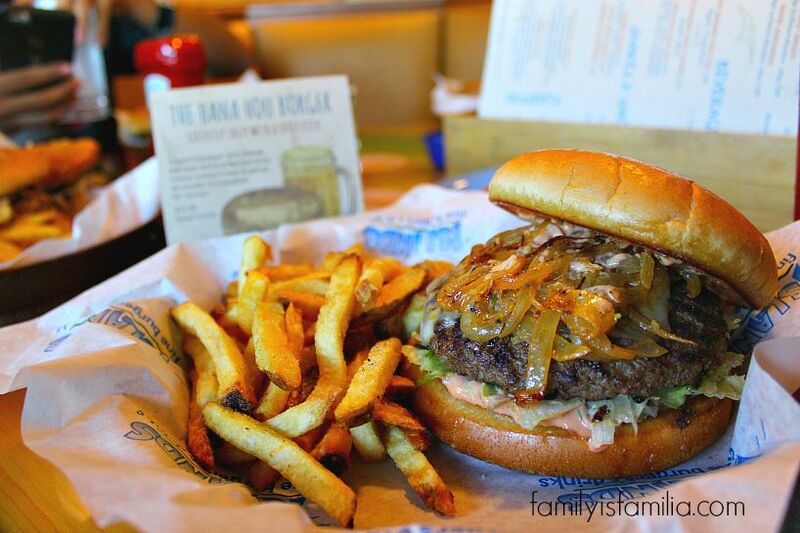 The Hana Hou burger is topped with a spicy Machete aioli, pepper jack cheese, and beer onions. Now, I was a little iffy on the onions. I don’t eat onions, unless it’s covered in batter and deep fried. But with the Hana Hou burger, the onions are grilled and super flavorful. The burger is a little spicy, but tolerable and not at all overpowering the burger. It’s definitely a must try! 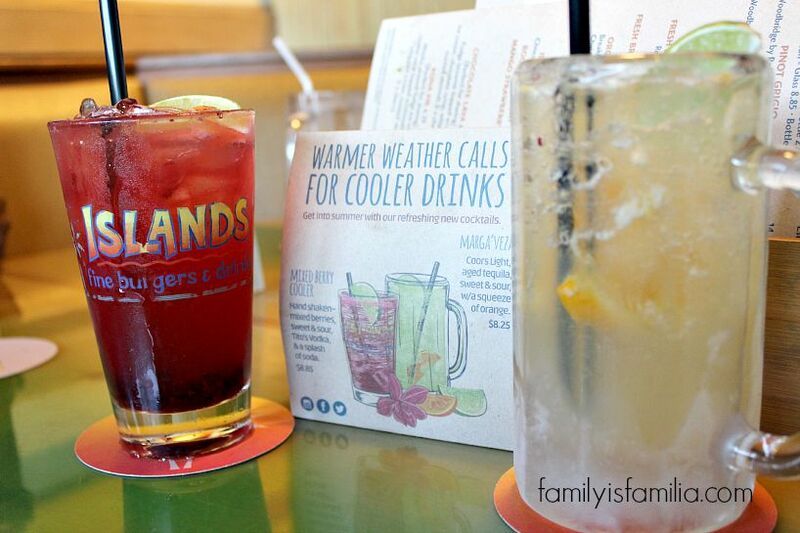 Islands also introduced some new drinks to wash down the burgers! On the left, you have the new Mixed Berry Cooler, made with Vodka and one of their popular drinks, the Marga’veza! Both drinks contain alcohol. And of course, a round of buffalo wings as an appetizer is almost obligatory. Have you had tried them before? They are bombalicious! Yes, that’s a word! 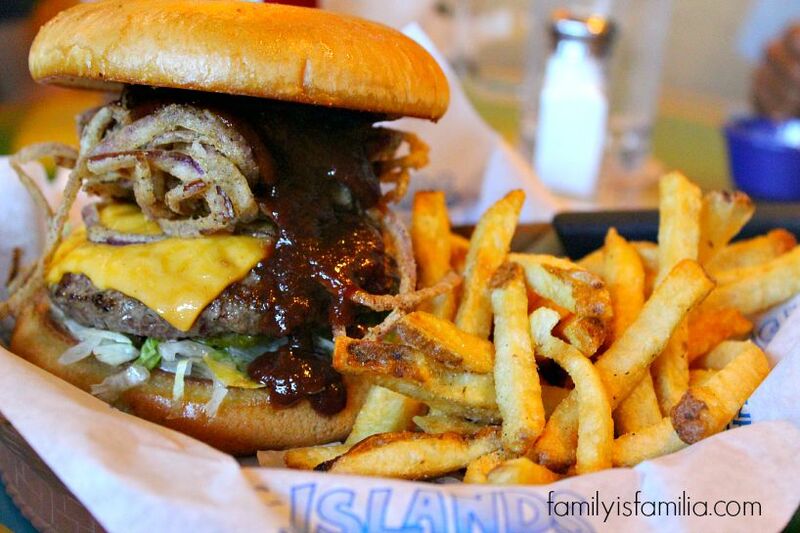 Islands Burgers is a fun, family-friendly restaurant that is delicious. The variety of burgers offers your familia plenty of options. Their lunch options are great for when meeting co-workers or catching up with friends. Beach cruiser giveaways: Each Islands location is giving away a custom beach cruiser this summer. Guests can enter for a chance to win every time they visit and Islands, and the lucky winners will be selected on September 22!!! Beach cruisers and summer are just made for each other, right? 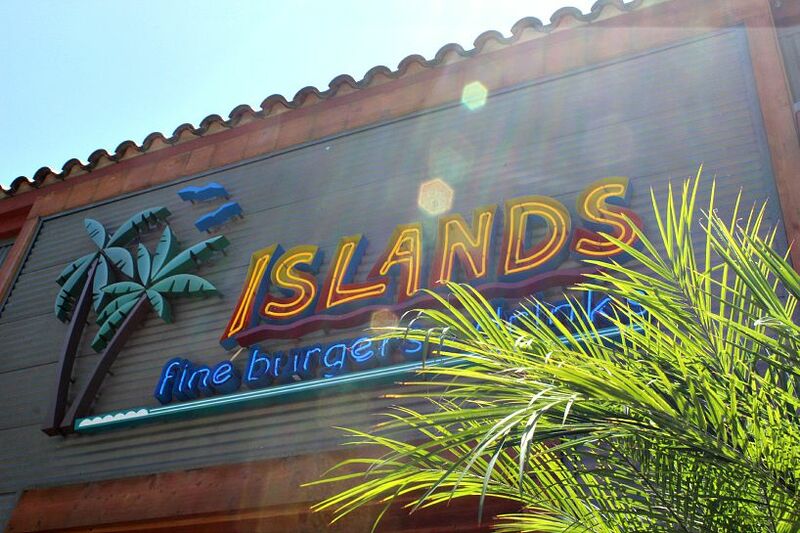 What is your favorite burger at Islands? Liz is a Mexican-American blogger living in Southern California. Married 19 years, and a mami to 3 kids, her content is inspired from living in and raising a multicultural familia. Liz has been blogging for more than 7 years, establishing herself as a nationally recognized Latina blogger. She often blogs in Spanglish and may throw in some Tagalog when talking about her hubby. You can also find her chit chatting away at @Liz_Cerezo on Twitter! Family is Familia is a blog about sharing my parenting journey as Latina mom in California. Through stories and content, I tell it like it is! The good, the bad and the ¡Ay Mamá! I speak English, Español and Spanglish! What's your superpower? "The owner of Family is Familia is a participant in the Amazon Services LLC Associates Program, an affiliate advertising program designed to provide a means for sites to earn advertising fees by advertising and linking to Amazon.com." Keep up with Family Topics, Recipes and Local Travel! This Month’s Post to Check Out! Disney! Tips, Trips and More!